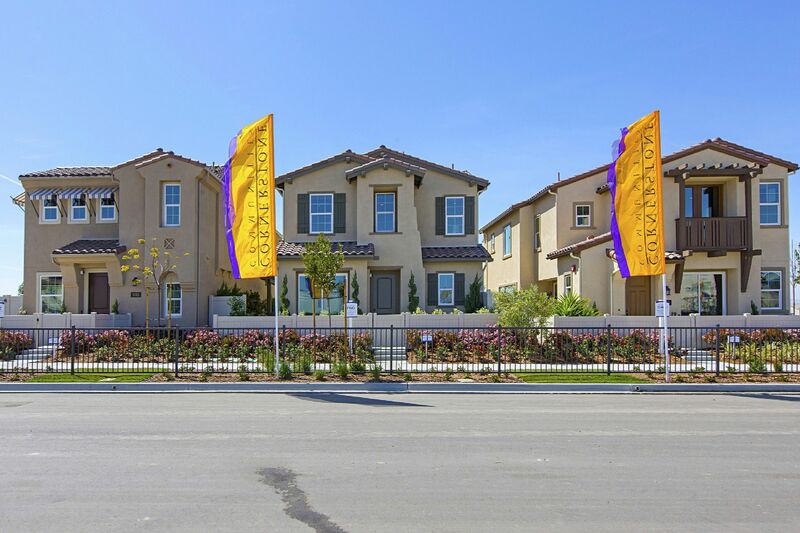 Cornerstone Communities’ Aventine at Otay Ranch will be a collection of 100 single family detached homes featuring 2,013 to 2,438 square feet, up to 5 bedrooms, up to 3.5 bathrooms and generous homesites with three different yard spaces. Aventine will offer residents a variety of amenities that contribute to the small-town character of Otay Ranch. The award-winning trail system is designed to connect residential areas with the village activity center. Residents will love being within easy walking distance to excellent schools and nearby private parks with amenities such as playgrounds, picnic areas and grassy fields for play. Residents will also enjoy full access to the nearby Village of Montecito Clubhouse. This impressive and innovative facility includes a resort-style swimming pool with beach entry and swimming lanes, children’s wading pool, lounge areas, and a spa. There is also a state-of–the-art fitness center, a multi-purpose clubroom, and full kitchen for member use. Other amenities include a fire pit, turf bocce ball courts, gas BBQ stations, and covered outdoor dining areas.